I don’t know about you, but I love massages and getting pampered. I mean who doesn’t right? One of my absolute favorite spas in South Florida is the ESPA at Acqualina Resort & Spa. It’s located in Sunny Isles (a quick 10 minute drive from where I live). I’ve been to several spas in Miami, but I always keep coming back to this one. From the moment you walk through the doors it has that zen feeling that I absolutely love. They recently launched their new Royal Spa Suite and of course I had to jump at the chance to check it out. 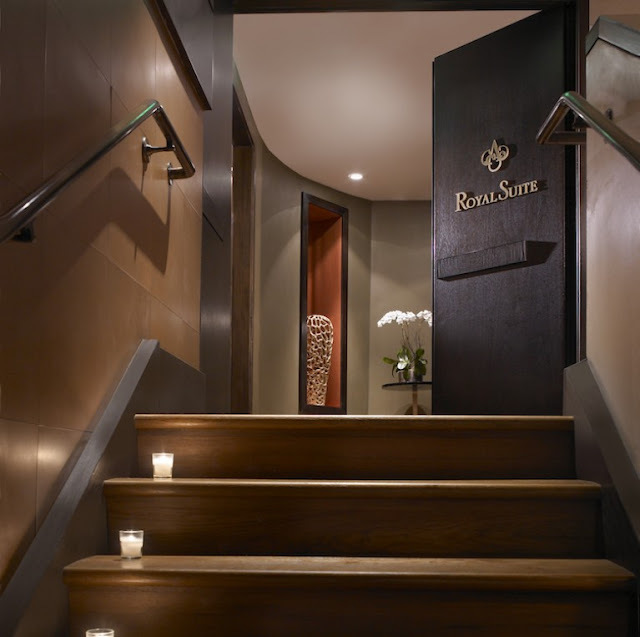 I tried the Royal Spa Suite 3 Hour Experience, which is customized to your needs by their spa experts. 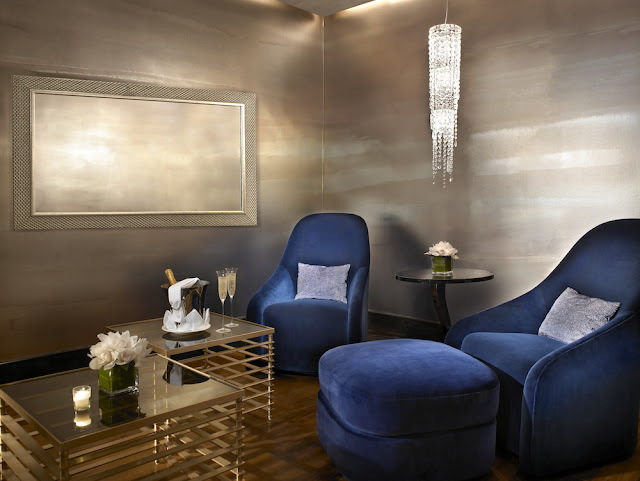 In addition to your own private treatment room, you also have your own private lounge area which is wrapped in Calico hand-painted cirrus wallpaper inspired by the sky and clouds. There, we were greeted with freshly made tea, light refreshments and snacks. 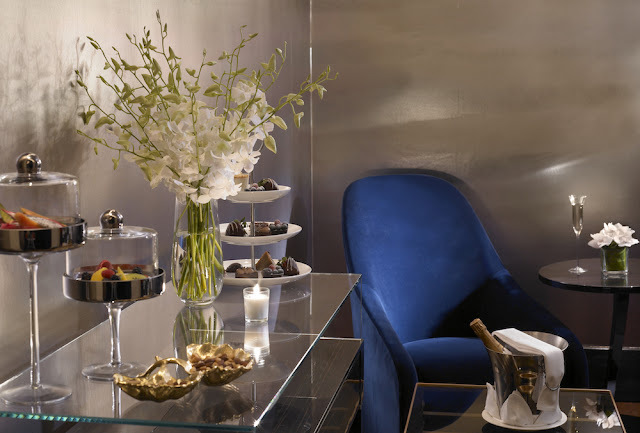 No detail was overlooked when they designed the suite, from the Fendi buffet consoles, to the beautiful chandelier imported from Italy to the gold dusted mosaic walls in the treatment room, it was absolutely luxurious. Once we went inside the massage room we started off with a foot ritual, which was heavenly. After our soothing massage we also enjoyed a healthy bento box lunch in our suite prepared by Executive Sous Chef Sebastian Barrera, which was absolutely delicious. 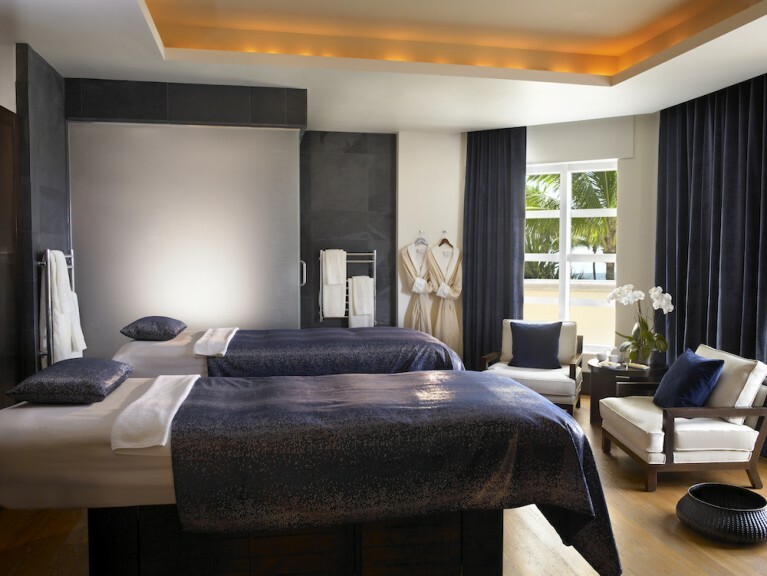 If you’re looking for an oasis filled with relaxation and luxury, then it really doesn’t get any better than the ESPA at Acqualina. It would also make the perfect Mother's Day gift, which is right around the corner. You can book your spa treatment here.